Glen Burnie Dental Group (Glen Burnie) - Book Appointment Online! 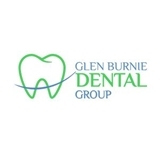 Glen Burnie Dental Group is a professional and affordable private dental practice offering an extensive range of dental services, including general, cosmetic, orthodontic, periodontics, periodontics, implant and teeth whitening treatments, and many other dental services! The Practice is located at 5 N. Crain Hwy., proudly supported by an experienced team of some of the best dentists in Maryland! All their experience combined offers patients access to outstanding dental care in a modern, state of the art dental treatment center. Glen Burnie Dental Group and it’s experienced dental team are ready to welcome you in a warm and friendly environment! Looking for a dentist in Maryland? Contact Glen Burnie Dental Group today and book your dental appointment!